MELVILLE, N.Y. – Today, Nikon Inc. announced the expansion of the popular Nikon 1 Advanced Camera with Interchangeable Lens System with the addition of the Nikon 1 J2 camera and the 1 NIKKOR 11-27.5mm f/3.5-5.6 lens to provide users with amazing image quality and stunning 1080p HD video in a portable, powerful package. The Nikon 1 System, including the new Nikon 1 J2 and the 1 NIKKOR 11-27.5mm lens, is engineered from the ground up to give users the freedom to capture and connect with others to share life experiences. 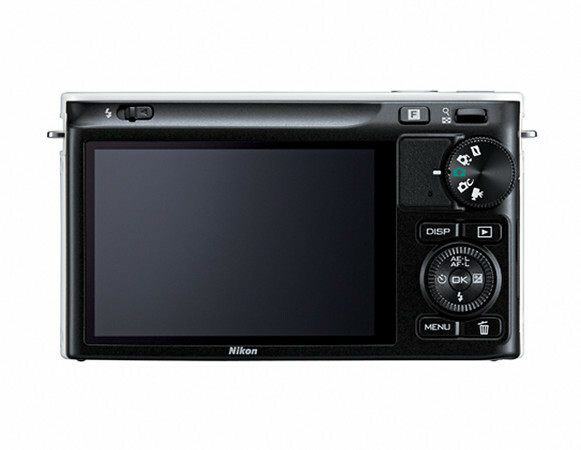 The Nikon 1 J2 improves upon the Nikon 1 J1 with new features such as a Creative Mode that provides a variety of photo effects to users, a metallic body, a higher resolution LCD screen and the addition of stylish new color offerings. Made for those seeking portability without compromising stunning image quality and quick performance, the J2 is the camera designed to empower users to capture their world like never before with stunning and sharp image and HD video quality. In addition to the camera, the 11-27.5mm lens is a super-compact zoom lens that offers a helpful 2.5x zoom range in an easily pocketable size. The new Nikon 1 J2 offers a new Creative Mode accessible from the Mode Dial of the camera to let users express themselves in new creative ways. When in Creative Mode, photographers will be able to take advantage of several shooting modes including Panorama, Selective Color, Miniature, Soft, Night Landscape, Backlighting and Night Portraits. By selecting these modes, the camera will automatically adjust the settings for optimal results when capturing an image, yielding fun photos for a variety of conditions. 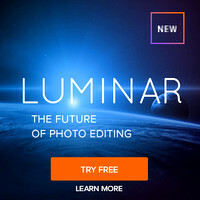 The Creative Mode will also provide fast access to manual exposure controls (P,S,A,M), similar to those found on Nikon D-SLR cameras, for the ultimate in creative control and flexibility. In addition to the new Creative Mode, the J2 will sport a metallic camera body and Mode Dial giving the camera a sharp look and comfortable feel in hand. To match users’ varying styles and color preferences, the camera will come in a variety of fashionable colors including White, Black, Silver and Pink, as well as two new colors, a deep Red and Orange. The Red and Pink varieties of the J2 will have a textured grip to complement their vibrant color schemes. What’s more, the camera’s new high-resolution 3.0-inch, 921,000 dot LCD monitor provides sharper detail when sharing and composing images and HD videos. True to the Nikon 1 promise, the J2 is the ultimate marriage of performance and ease-of-use wrapped in an attractive package. The new Nikon 1 J2 features a 10.1-megapixel CX-format CMOS sensor and the EXPEED 3 image processing engine to give users images and HD video with amazing fidelity and color, along with the ability to capture images in challenging lighting situations. The highly responsive Advanced Hybrid Autofocus (AF) system gives users a superfast shooting speed, allowing them to capture fast action with stunning clarity while the camera’s 73 point AF array will ensure accuracy and super precise focus, even on moving subjects. The Nikon 1 J2 retains user-friendly features such as Full HD video recording, and a reputation for blazing fast speed with the ability to capture rapidly moving subjects at an astounding 10 frames-per-second (fps) with AF, or up to 60 fps with AF locked on the first frame. For even more creative freedom and to capture fleeting moments, Motion Snapshot Mode gives the ability to capture a spontaneous moment as a still image and combines it with a slow motion movie vignette. To help ensure the best shot every time, Smart Photo Selector captures multiple shots and lets the camera select the best one automatically. To learn more, visit the product page. Alongside the new Nikon 1 J2, the versatile 1 NIKKOR 11-27.5mm lens will inspire shooters to take their creative expression on-the-go with an extremely versatile yet compact and lightweight lens. With a 2.5x zoom (30-74mm equivalent), this is an ideal lens for general shooting including landscapes, portraiture or even as the go-to lens on the next family vacation. The 11-27.5mm lens will be offered in Black and White, and will be compatible with the Nikon J2 as well as the Nikon 1 V1 and Nikon 1 J1. Nikon has also announced the addition of a new accessory to the Nikon 1 System, one that will allow users to use their Nikon 1 cameras during water-based adventures and vacations for even more creative freedom and expression. The new WP-N1 is an underwater case that can house either the Nikon 1 J1 or new J2 in addition to the versatile 1 NIKKOR 10-30mm lens. 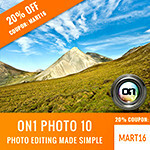 The WP-N1 is ideal for users that enjoy the versatility of their Nikon 1 cameras but seek a way to protect their camera during their active lifestyle. The WP-N1 will allow users to bring their Nikon 1 camera on a beach vacation or water sport adventure like kayaking, jet skiing, snorkeling and surfing without having to worry about damage from the water. The case is waterproof up to 40 meters (approx. 131 feet), allowing consumers to enjoy the sun and surf while bringing back stunning photos and HD videos to share with their family and friends. 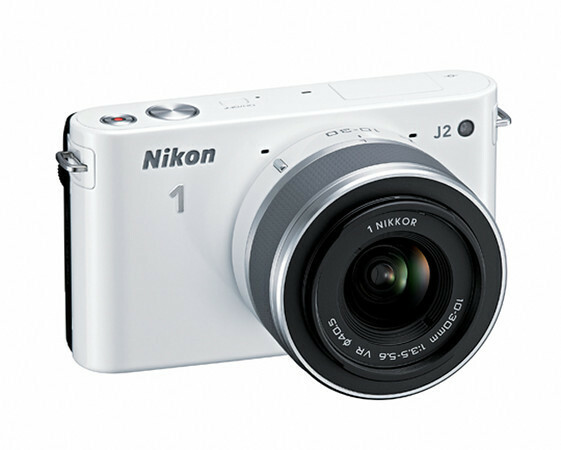 The Nikon 1 J2 camera with the 10-30mm lens will be available in September 2012 for the suggested retail price (SRP) of $549.95*. 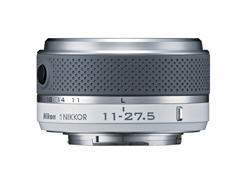 The 1 NIKKOR 11-27.5mm f/3.5-5.6 lens will also be available in late September 2012 and will have a suggested retail price (SRP) of $189.95*. 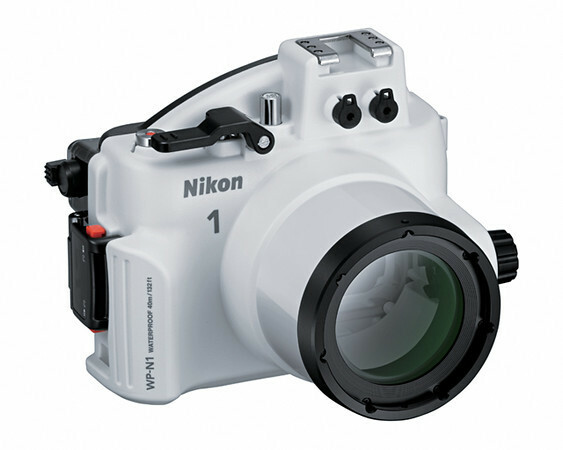 Additionally, the new WP-N1, the underwater case for either the Nikon 1 J1 or the Nikon 1 J2, will be available in September 2012 and will have a suggested retail price (SRP) of $749.95*. 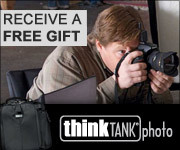 For more information on these new Nikon 1 series products and other Nikon products, please visit www.nikonusa.com. If you make a purchase using links found in this blog, I may make a commission.